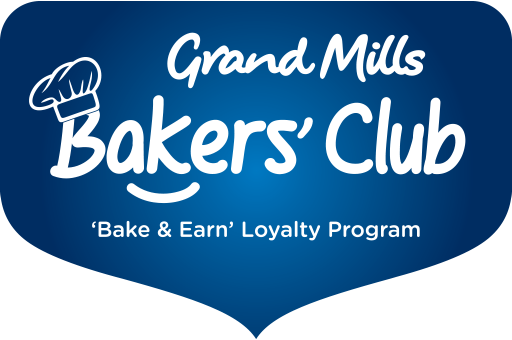 At Grand Mills, we believe that the best flour is created through the perfect synergy of traditional values and innovative thinking. It is only through the vigilant process of selecting the finest grains that breathes life into the quality of all our products. Well balanced commercially and nutritionally, our flour range helps build healthy businesses as well as happy families. Beyond flour, we also provide expert and informed advice. Creating value, inspiring better products and increasing success for the bakers we supply and happily work alongside. As pioneers of the region’s milling industry and experts in all things flour related, we are committed to providing our consumers with bespoke solutions to unleash their cooking and baking creativity. At Grand Mills, we don’t just believe in producing flour. We believe in going beyond flour to inspire millions of people to share the joy of cooking every single day.